plus save 24 % Off Every Day! 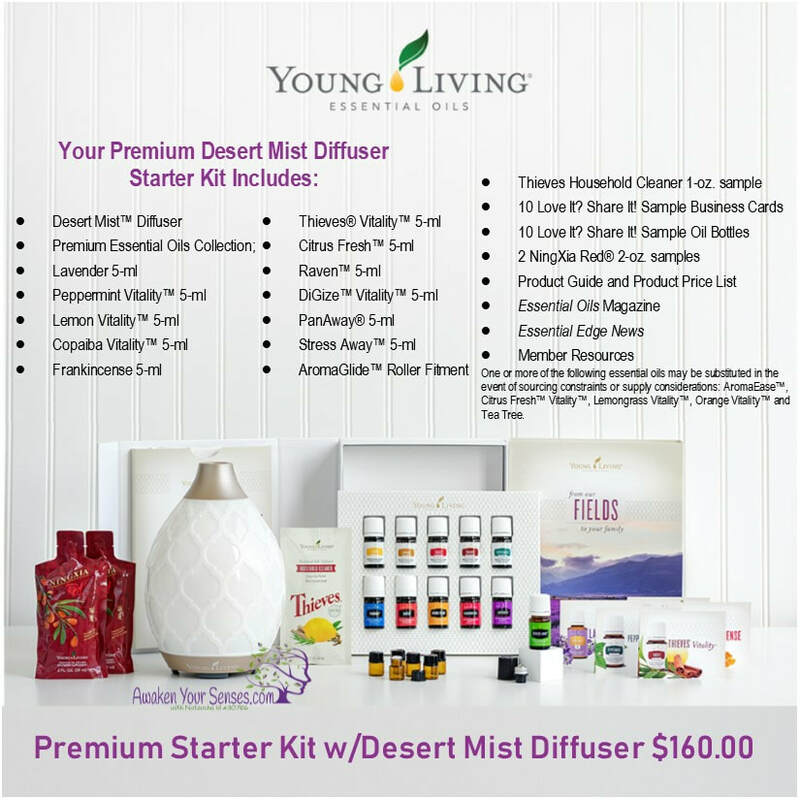 Wholesale members get a 24% discount off retail price on every Young Living product, ability to participate in YL monthly promotions, In addition to wholesale pricing, As a wholesale member, you have the option (there is NO requirement or obligation to buy or sell, of sharing the oils with your friends and family and earning a commission check). If this is something you are considering, please contact me. I will be more than happy to help you get started! To begin as a Wholesale Member you start by purchasing a starter kit. I recommend the Premium Starter Kit shown below. 1. Click over to the sign-up page, super easy! 2. Choose Your membership Option – I highly recommend the Wholesale Membership. There are NO strings attached for being a wholesale member. You aren’t required to order monthly or anything. If you select “Retail Customer” you will not receive wholesale pricing, you won’t have access to starter kits and you will pay retail cost which is 24% more than wholesale, and will not be eligible for the Facebook group support or the free bonuses. 4. Fill out your name, email (this is important, if you leave it blank I have no way to contact you and support you!) billing address, shipping address, and contact info. (The reason you are asked to list your social security number is for tax purposes. If you make over $600/year selling Young Living products, you will receive a 1099 form in the mail, as is required by law. Young Living will never share this info with anyone.) If you do not feel comfortable putting in your social security number (this is only for tax purposes if you decide to turn this into a business) then you can get an EIN from the IRS in just a few seconds here and use that number instead (the IRS just needs to be able to connect some number with you for tax purposes). Our monthly Essential Rewards autoship program allows you to earn even more reward points while you have your favorite products delivered straight to you once a month. 24 percent off retail pricing on all orders—every day! Enjoy more of your favorite essential oils and oil-infused products at wholesale prices. Earn gifts available only to members of the Essential Rewards program when you place consecutive Essential Rewards orders over 50 PV. Get rewarded when you consecutively order for 3, 6, and 9 months—and beyond. Plus, you’ll get an exclusive blend after your 12th consecutive month!